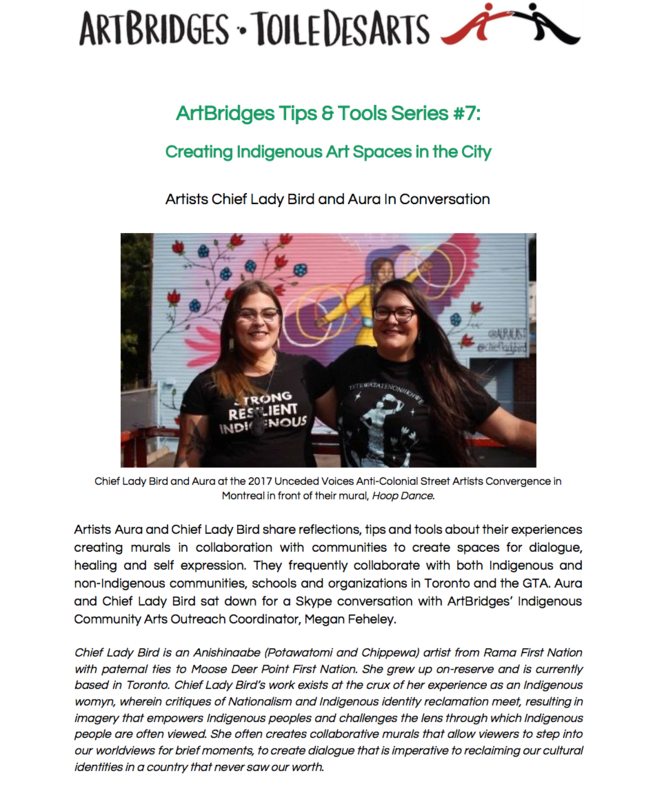 "Artists Aura and Chief Lady Bird share reflections, tips and tools about their experiences creating murals in collaboration with communities to create spaces for dialogue, healing and self expression. They frequently collaborate with both Indigenous and non-Indigenous communities, schools and organizations in Toronto and the GTA. Aura and Chief Lady Bird sat down for a Skype conversation with ArtBridges’ Indigenous Community Arts Outreach Coordinator, Megan Feheley."